← A Hungry Texans Inaugural Feast! The Baltimore Ravens & San Francisco 49ers have two weeks to prepare for the big game in the Big Easy. While the teams practice kicking, throwing, and clobbering, these Hungry Texans will be hard at work prepping a Super Bowl menu full of culinary “touchdowns”. 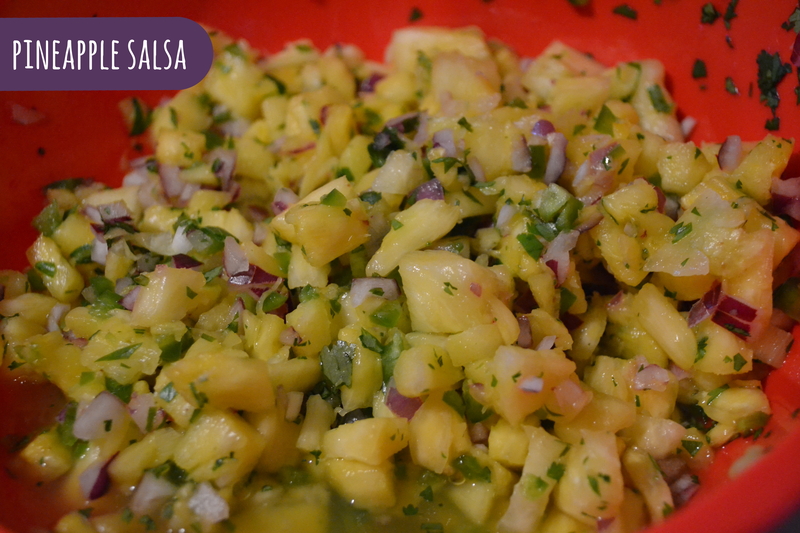 This pineapple salsa will brighten any Super Bowl spread, and it’d also make a killer topping for fish tacos! 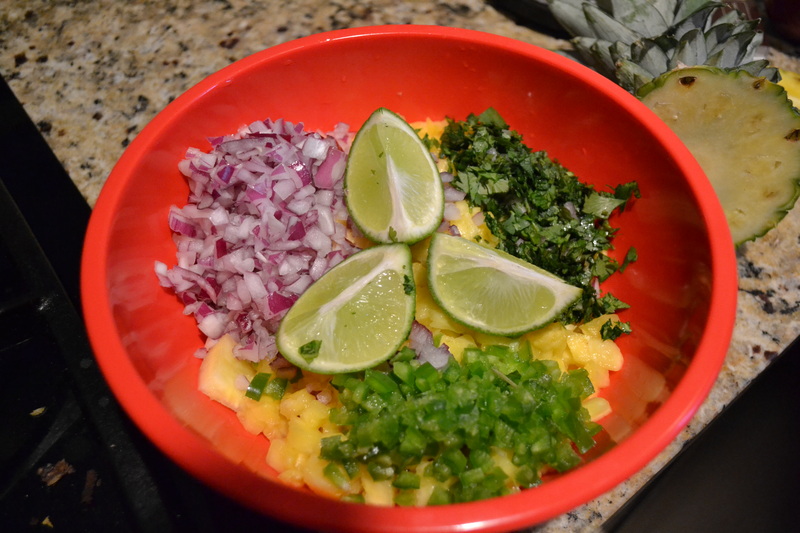 Chopping and a little time are the only tricks to this recipe. Finely dice all of your ingredients and then combine. 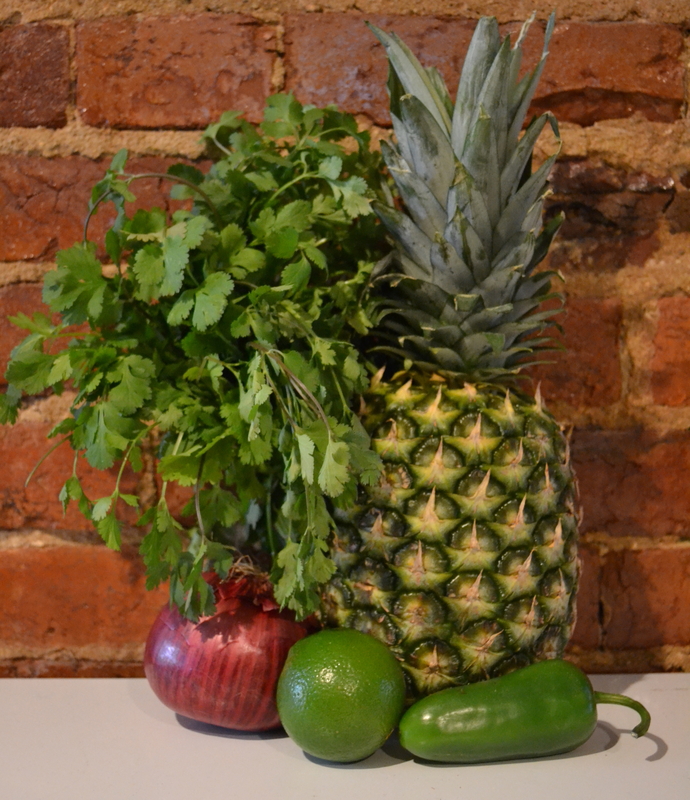 With a juicy pineapple the flavors meld quickly, but give your ingredients at least 30 minutes to marinate together before diving in & starting scoop with your favorite chips!